With creativity on board, add a tinge of quirkiness by opting to hire a Photo Booth in London with Paparazzi VIP. Photo Booths are a great way to ensure your guests have great fun at your wedding while capturing some real moments on your special day. We offer the very latest generation of trendy Photo Booths for Weddings, birthday, corporate events, etc. 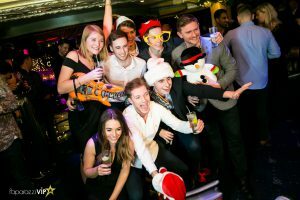 Get your event started with the leading photo booth hire providers in Surrey and London! At Paparazzi VIP, we create and capture experiences within a single shot. We are creative professional and experience creators. Hiring a Photo Booth is a great way to entertain your guests by seizing those special memories. With the latest selection of photo booths, the Magic Mirror and ever popular digital VIP GIF booth, guarantees a sure-fire success amongst your guests. Cherry-pick the best picture booth and make your party an instant hit. Get your own Photo Booth on Hire in Surrey and London and let your guests show a crazy side of themselves!